Can a Pakistani Muslim be secular? Islam is tolerant of difference and promotes diversity, reasoning and knowledge is it not? Just like secularism? – but in Pakistan anything that threatens the positions and status of those narrow-minded self-styled holy-ones and their hangers on who have abused and exploited Islam, Muslims and non-Muslims alike to gain social, economic and political benefits for themselves are suspect. These political thugs dressed in religious clothing have a history of demonizing anyone that threatens their hold on gullible folk who cannot differentiate the words of Mullah to those pure words of Allah – The Lord of The Worlds. Islamic Scholars Sir Syed Ahmed Khan, Dr.Fazalur Rehman Ahmed, Ghulam Parvez and GM Syed are a few examples of the reformers who were demonized by these ‘Mullahs’. Latest is Javed Ahmed Ghamdi. This stranglehold on what goes for Islam in Pakistan needs to end as its making a mockery of Islam and the teachings of our last Prophet Muhammad PBUH. Many people get sick at the mere mention of secularism because they don’t really understand what it means. 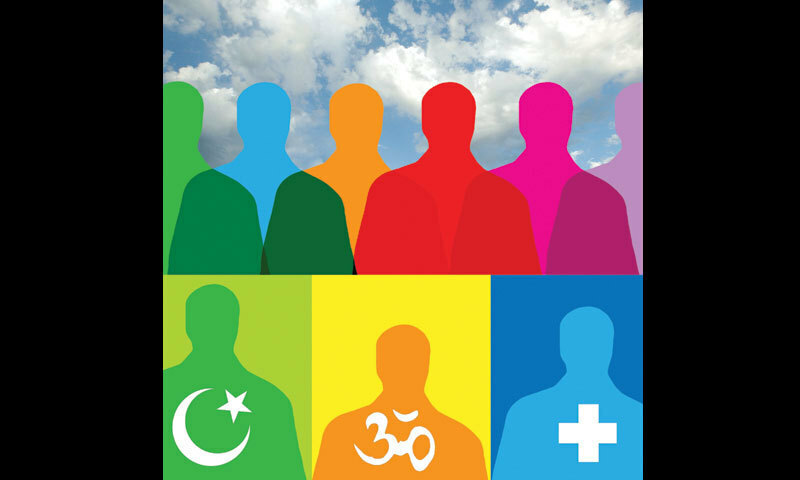 Like any other ideology, secularism too has produced a number of variants that were moulded and informed by the cultural, economic and social dynamics of the regions that they emerged in. The central plank of secularism that remains constant across all variants is the separation of church and state and/or the parting of religion and politics. In Muslim-majority countries like Pakistan however, secularism has largely been denounced (by religious ideologues and sometimes even by the state), as a doctrinal construct that is anti-religion and negates the existence of God. The advocates of this claim do not differ between secularism that began emerging as an idea in Europe (from the 17th and 18th centuries), and that variant of secularism that was influenced by the writings of Karl Marx, Fredrich Engels, Vladimir Lenin and Mao Tse Tung. Though it began as an entirely intellectual pursuit and was a gradual mutation of the Protestant rebellion against Catholicism, modern European secularism first exploded into prominence during the French Revolution (1789) as an aggressive ideology. It saw the Church and Christian priesthood to be historical tools and avenues of oppression used by exploitative monarchs and feudal lords against the people. However, by the 19th century, European secularism evolved and balanced itself as an important component of democracy that merely wanted to keep religion within the confines of the church and around an individual’s personal space. A scientific understanding of history, economics, society and human behaviour was to drive political and judicial legislation and religion was to only furnish an individual’s personal spiritual make-up (or lack thereof). This secularism does not repress religious belief. In fact it accepts and protects an individual’s right to practice his/her religion as long as they are doing so in designated places of worship, in their private space, and as long as their religious beliefs and rituals are not offending other people’s beliefs, or encouraging violence, or creating any other social, domestic or political commotion. Western secularism recognises the psychological need and role religions play in certain swaths of a society, but it does not allow this role to take the shape of politics because such a tendency encourages persecution and repulsion against modern scientific, economic and intellectual ideas because they threaten the existence of politico-religious entities. Such has been the secularism practiced in the West for almost a century now. On the other hand, the secularism that emerged in countries that witnessed communist revolutions and regimes inspired by the writings of Karl Marx (and later Lenin and Mao), reverted to the radical (Jacobin) secularism of the French Revolution. They attempted to completely squash religious belief and practice, viewing religion to be a counter-revolutionary and intransigent force that encouraged economic and social exploitation and stunted and retarded the evolution of societies. Western secularism experienced a boost when European nations began to rise as vast economic and military powers. After the gradual decline of monarchism and feudalism in Europe and the advent of democracy there, modernism began to mean economic and political progress based on democracy, science and secularism. Non-European regions where religion was still deeply embedded in the social dynamics and milieu faced a dilemma when they came into contact with the domineering arrival of Western imperialism and its early secular ideals. A number of intellectuals and political activists of these regions after observing how resisting these ideals were isolating their people from the economic benefits that these ideals now offered, began to concentrate on how to adopt these ideals without completely discarding those aspects of their cultures and beliefs that were tightly tied to their national, ethnic and religious identities. 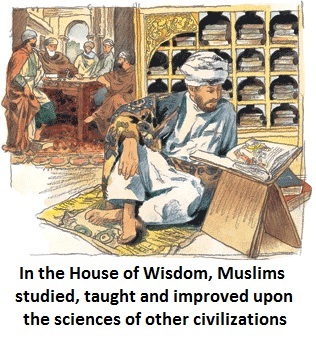 In South Asia for example (in the 19th and early 20th centuries), certain Muslim and Hindu reformers and scholars began to develop revisionist scholarly narratives that presented their respective religions to have been inherently modern, progressive and in tune with science. Some Hindu reformists suggested that Hinduism was inherently pluralistic, whereas the Muslim reformists suggested that Islam was inherently secular because there was no concept of priesthood in it. Thus began the attempt of many Muslim and Hindu scholars and thinkers to mould their own, indigenous concepts of secularism that ironically derived their variants of secularism from their respective religions. Thus, when a cleric or a conservative Muslim or a hard-line Hindu describes secularism as an ‘anti-God/anti-religion’ idea, he is almost entirely wrong — at least on two counts. First, western secularism is simply about the separation of faith and the state (for reasons discussed above). Secondly, secular in both India and Pakistan has largely involved thinkers and advocates who justify the separation of religion and the state by suggesting that their respective faiths encourage such a separation. In Pakistan secular thought is largely tied to the musings of 19th century Muslim scholar, Sir Syed Ahmed Khan, who painstakingly demonstrated how ‘scientific reasoning’ and rationality can be used to interpret Islamic scriptures. He also tried to demonstrate that such an interpretation was closer to the true (rational) spirit of Islam and that faith needed to be a personal matter. He insisted it was material progress (through the sciences) that furnished spiritual progress. Sindhi scholars like GM Syed and Ibrahim Joyo went a step further by suggesting that societies where Sufism had played a strong historical role in shaping the people’s religious make-up are inherently secular because the Sufi saints that they follow were highly tolerant and against the orthodox clergy and ulema (who were allied to economic and political forces who were using faith as a cynical and opportunistic tool of exploitation). In the 1960s thinkers like Hanif Ramay and his group of intellectuals who published a highly influential Urdu monthly, Nusrat, tried to counter the ‘Political Islam’ of Abul Ala Maududi and the Utopian pan-Islamism of Iqbal, by concocting a concept called ‘Islamic Socialism’. The concept suggested a socialist philosophy that fused modern socialist economics and democracy with the pluralistic manoeuvres of the Prophet (PBUH). Islamic Socialism claimed that the socialism and secularism that it was advocating was inspired by the ‘Madina Charter’ authored by the Prophet in which he granted widespread rights to non-Muslims and the downtrodden. But no amount of innovation in this regard has changed the conservative ulema’s views about secularism. The reasons for this seem to be quite apparent. Even the more spiritually-tinged variations of secularism are seen as a threat by these ulema and clerics most of whom were pushed into the mainstream by the gradual politicisation of faith in Pakistan from the mid-1970s onwards. Previous Take the test: Which political tribe are you? Next U.S. National War Academy: A Project for The Muslim nations – Whats the Muslim Response?